I am going back to California next week so right now I am enjoying my last moment with my family.. 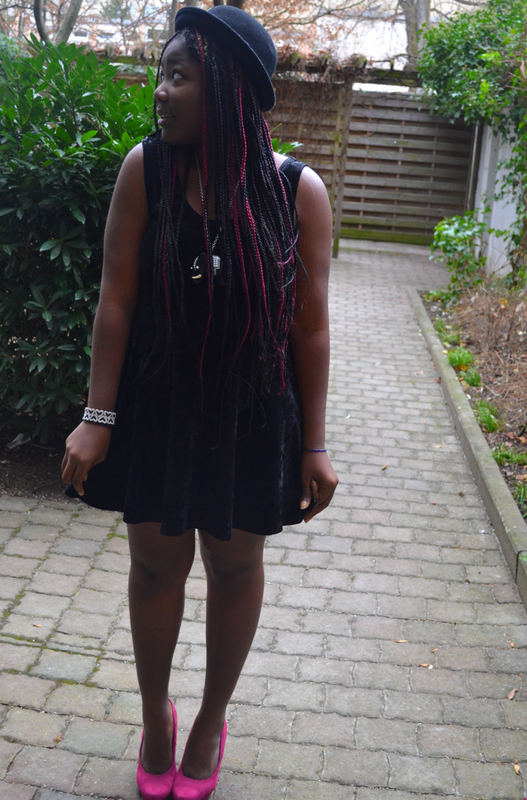 I promised you a shoot with the dress so that you could see how it looks like. It wasn't that cold that day so here it is! Hope you like it! Je rentre en Californie la semaine prochaine donc actu je profite des derniers moments avec ma famille..
Je vous avais promis un shoot avec la robe pour que vous voyez a quoi elle ressemble. Il ne faisait pas vraiment froid ce jour la donc voila! J'espere que ca vous plait! 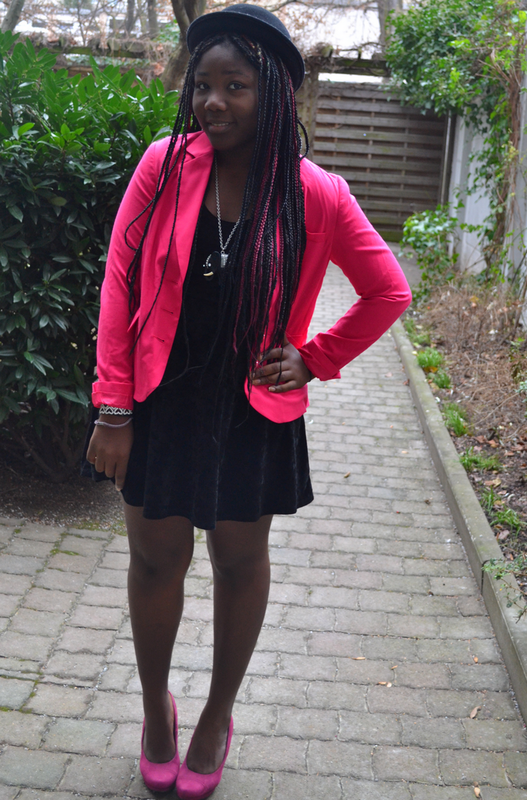 Pink and black is such a nice combination. 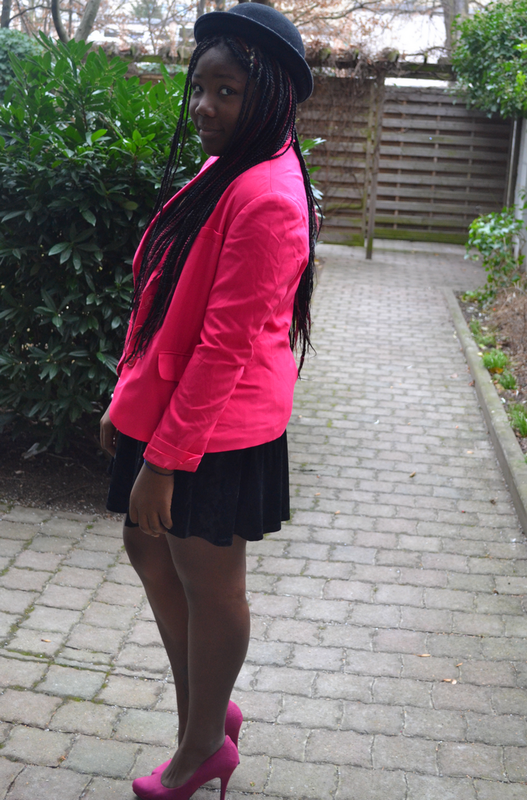 Fab blazer!! i love the PINK accessories DEAR! 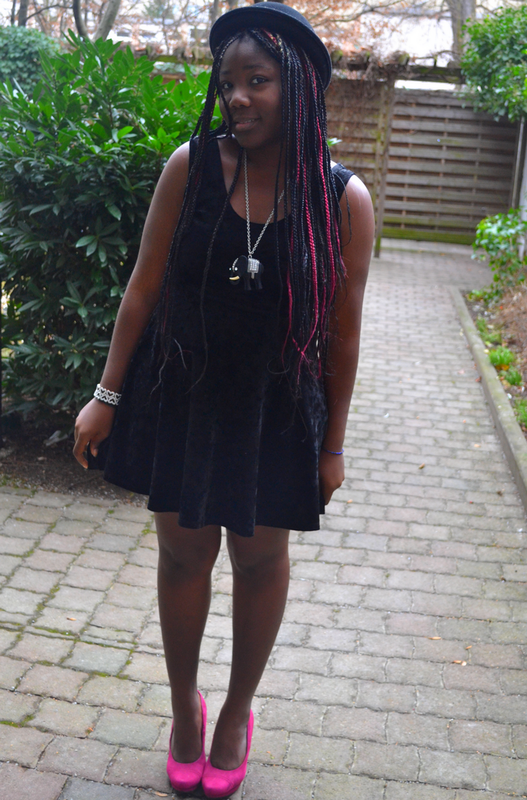 nice combo, i like wearing black dress with pink shoes! Love the combo...and love the shoes. 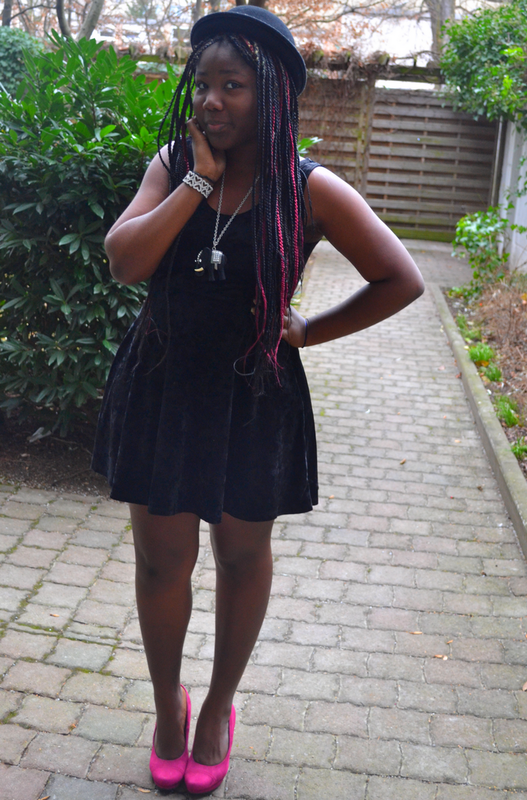 jolie robe, joli chapeau melon, jolies tresses!!! j'aime tout! Beautiful combo, the shoes are fab and loving that hat even more. Love this combo of black and pink! I really like your hat and pumps. Have a nice day.